I normally share dirt-cheap and free digital music here on Mondays, but since there seems to be a great deal of confusion around Amazon Music lately I’ve decided to dedicate today’s post to that topic. Amazon actually has five different types or levels of digital music services. Note that details reported here are accurate as of this writing, on 1/8/17, but are subject to change at any time at Amazon’s discretion. 1. What is Amazon Music? Amazon Music is the Amazon Digital Music department on the Amazon site. It includes Prime Music, Amazon Music Unlimited, and all the other digital music that isn’t part of either of those programs. When you go to Amazon > Digital Music through the department menu or select Digital Music when using the main Amazon site search bar, you’re accessing Amazon Music. 2. What is Amazon Music Library? Amazon Music Library is the online space where Amazon stores its customers’ digital music. Every Amazon customer gets their own Amazon Music Library for free, and can add music to it through Amazon Music purchases, adding Prime or Amazon Unlimited music, or uploading their own, previously-owned digital audio tracks. All Amazon customers are allowed to upload up to 250 tracks at no charge, and additions that come from Amazon sources are free to add as well. Users can play and organize their music, create custom playlists, edit the details for tracks and artists, and purchase or download music from within Amazon Music Library: it works much the same as iTunes. You can access your Amazon Music Library via the free Amazon Music mobile app (also available in the iTunes store for Apple devices), the free Amazon Music desktop app, the Web Player on the Amazon site itself (Amazon > Account & Lists > Your Music Library), or any of the Amazon devices that can play music (Fire tablets, Kindle readers, Fire TV, Fire Phone, Alexa-enabled devices). This broad accessibility makes Amazon Music Library a very attractive option for maintaining a single, centralized digital music library. If you already have a large library of digital music you didn’t get from Amazon sources, and need to upload more than the 250 audio tracks you can add for free, then you need (previously known as Amazon Music Library Premium)—see list item #5 below. 3. What is Amazon Prime Music? Amazon Prime Music is a rotating selection, or sub-set, of the albums and tracks from Amazon Music that Amazon Prime members can access at no additional charge. Prime Music albums and tracks are designated with the Prime logo on their Amazon product pages, as shown on the Bruno Mars album above. Prime members can stream Prime Music tracks and albums while browsing the Amazon site by clicking the Listen Now button on product pages, or they can add Prime Music to their Amazon Music Library to make it available for streaming through the Amazon Music App. Once Prime Music has been added to your Amazon Music Library, you can include those albums, tracks and artists in your custom playlists. IMPORTANT CAVEAT: Remember that I opened by saying Prime Music is a rotating selection of music. Just as with any music streaming service, its content is subject to change at any time. Amazon has contracts with music providers and those contracts dictate which music is included in Prime Music and for how long. If you want to be sure a favorite album or song won’t become inaccessible because it’s dropped out of Prime Music, it’s safer to buy the music. 4. What is Amazon Music Unlimited? Amazon Music Unlimited(AMU) is a relatively new offering Amazon launched as a competitor to popular streaming services like Spotify and Pandora. Like those services, AMU offers music streaming on demand by artist, album name or genre, plus a large selection of pre-curated playlists organized by artist, occasion, mood and more. Full disclosure: I am not an AMU subscriber so the information I’m providing here comes from Amazon’s own help topics, product pages and customer discussion threads. AMU’s music library is rotating, like Prime Music, but the available catalog is much larger than what you get with Prime music. We’re talking tens of millions of tracks under AMU versus just over 2 million tracks under Prime Music. There’s some overlap though, meaning that some Prime Music tracks and albums are also included in AMU. In general, AMU will tend to have more of the newest music and artists than Prime Music does. For example, Bruno Mars’ newest album is included in AMU, but not Prime Music. As of this writing AMU starts with a 30-day free trial, and after that it costs $9.99 per month for non-Prime members, $7.99/mo or $79/year for Prime members. The lower price for Prime members is probably in recognition that Prime membership already costs them $99/year (as of this writing) and includes access to Prime Music. There’s one more option, for owners of an Amazon Echo, Echo Dot or Amazon Tap device: $3.99/mo to provide AMU to one of those devices (as of this writing). That italicized detail is important: when you sign up for this option you must specify ONE of your Alexa devices and the AMU subscription is only accessible through that ONE device. 5. What is Amazon Music Storage? Amazon Music Storage (AMS) is a sort of Amazon Music Library upgrade that allows you to upload and store up to 250,000 audio tracks in your Library in addition to the 250 tracks’ worth of storage you get for free as an Amazon customer. Once those tracks are in your Library, they’re accessible and can be used in all the same ways as any other tracks in your Library. Since I came to Amazon Music Library with over 5,000 tracks, AMS was a necessity for me. The convenience is great, but yet another reason I’m happy to pay that $25/year (as of this writing) is that AMS provides a reliable offsite backup of my entire music library. I used to have to spend hours at a time regularly backing up my music, and I had to buy the storage media. No more! AMS isn’t just for music, either. I’ve got podcasts and audiobooks stored in my Library too. You can access the screen shown above to sign up for AMS by clicking on the image, or by navigating to Amazon > Account & Lists > Your Music Subscriptions. 6. Prime Music vs. AMU: Which Should You Get? The answer to this depends on your specific needs and preferences. Most of my listening is limited to the tracks I uploaded when I first started using Amazon Music Library, plus audio I’ve purchased or gotten free from Amazon since then. I’m a Prime member but not a heavy user of Prime Music. I’ll often listen to Prime Music stand up comedy albums, but once they drop from rotation I’ll buy the ones I like best. For someone like me, AMU doesn’t have much to offer. If I weren’t already a Prime member and didn’t have a huge amount of music in my Amazon Music Library already, AMU would be much more attractive because I do love music and listen to it often. 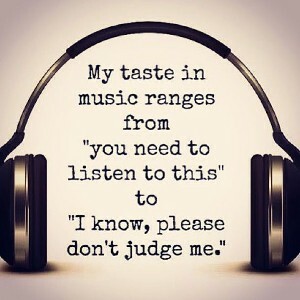 It would also be worth considering if I were the type who likes to stay up to date on the latest musical artists and trends and doesn’t mind a rotating selection. To me, a paid music streaming service is sort of like the modern, digital version of music on the radio—only without the ads. You can “tune” to the “channels” you like, but with the added benefits of being able to skip tracks you’re not enjoying and select artists, albums and tracks on demand (assuming the artists, albums and tracks you want are currently included in the AMU catalog). 7. What If You Have More Questions About Amazon Music Services, Plans and Options? Click here for Amazon’s help pages about Amazon Music. There are topics specific to Prime Music and Amazon Music Unlimited, Amazon Music apps, and pretty much everything else to do with Amazon Music services, plans and options. FTC disclosure for personally recommended products and services: I will get a small commission from Amazon if site visitors click through on the links in this post to purchase the featured items. However, the price to the buyer is exactly the same as if they’d gone directly to the Amazon site, Amazon covers the cost of the commissions. Also, I’d be recommending these products whether I received a commission or not.